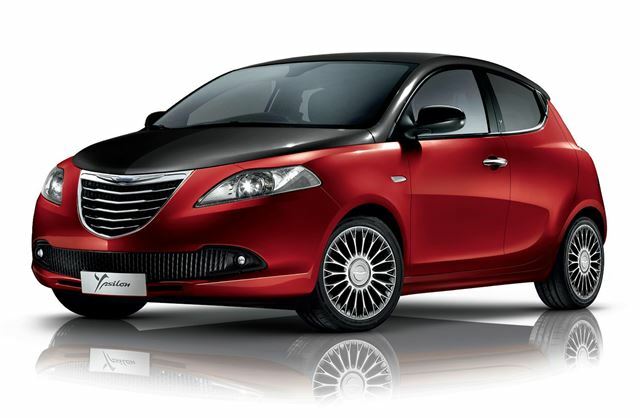 Chrysler has introduced the Ypsilon Black & Red, the first special edition version of its new small hatch, priced from £12,750. Chrysler has recently relaunched in the UK with the Ypsilon and Delta leading the way. The Black & Red is, surprise surprise, black and red, both on the inside and out, and is designed to make the Ypsilon appeal to a broader audience. Besides the striking paint, the Black & Red gets Bluetooth, an uprated hi-fi system, 16-inch alloy wheels, and front fog lights. Three engines are offered – a 1.2-litre petrol, a 0.9-litre TwinAir and the 1.3-litre Multijet diesel, priced at £12,750, £13,950 and £14,950, respectively. Plus 0 per cent finance is offered from £199 per month. The new Ypsilon special edition is on sale this month.